Linda K McLeod’s unique experience makes her one of the most sought-after lawyers to handle trademark cases before the TTAB and the Court of Appeals for the Federal Circuit. As a former TTAB administrative trademark judge and interlocutory attorney, Ms McLeod has extensive experience litigating cases through trial before the TTAB and related court appeals. Ms McLeod recently prevailed in a decade-long, contentious opposition trial before the TTAB on behalf of a charitable relief organisation. She also has a proven track record handling appeals before the Federal Circuit, having scored a recent victory in a precedential ruling in Couture v Playdom Inc. Ms McLeod was appointed by the secretary of commerce to serve on the USPTO&apos;s Trademark Public Advisory Committee (2011-2014). She currently serves on a USPTO Subcommittee, INTA’s Trademark Office Practices Committee. Ms McLeod previously served as chair of the American Intellectual Property Law Association’s Trademark Relations with the USPTO committee. recommended trademark lawyer by The Legal 500 (2014-2017). Clients describe Ms McLeod as “stellar at handling oppositions and cancellations”, with extensive TTAB litigation experience. 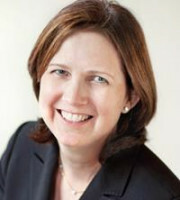 Before joining Kelly IP, Ms McLeod was a partner at Finnegan, Henderson, Farabow, Garrett & Dunner, LLP in Washington, DC.